What Lessons Did the 2017 NTSB Maritime Accident Report Teach Us? Each year, the National Transportation Safety Board (NTSB) puts together a report called Safer Seas Digest. This publication is aimed at helping mariners and boat owners prevent future accidents. It details the accident investigations completed that year and the lessons learned from those incidents. Here are some of the lessons we learned from this year’s … Continue reading What Lessons Did the 2017 NTSB Maritime Accident Report Teach Us? What Options Are Available to Longshoremen Who are Injured on the Docks? The MV ANSAC Splendor was being moved to another loading hatch at the Port of Longview when something went wrong. A maritime grade line snapped and recoiled into the ship and toward the dock. The line hit at least two men and injured two others. 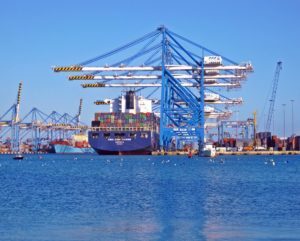 Though one of the men who was hit went to … Continue reading What Options Are Available to Longshoremen Who are Injured on the Docks? Has the Sinking of El Faro Changed Maritime Law? On October 1, 2015, the cargo vessel El Faro disappeared on its way to San Juan, Puerto Rico. 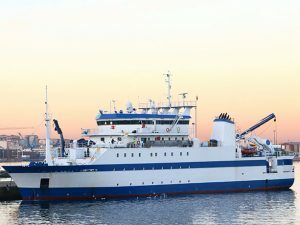 According to the Coast Guard, the vessel sailed too close to Hurricane Joaquin and sank, taking the lives of all 33 people on board. Now, Congress is trying to prevent similar tragedies from happening. Will this new … Continue reading Has the Sinking of El Faro Changed Maritime Law? 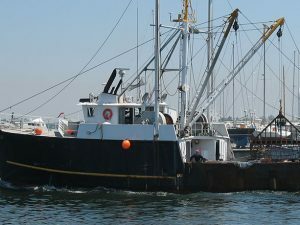 Could Maritime Law Help the Victims of the F/V Captain Billy Haver Attack? 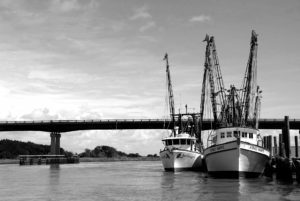 When it comes to the rights of seamen and fishermen, maritime law and the Jones Act provide many protections. These provisions can even help protect those who are injured by fellow crew members while working over open water. 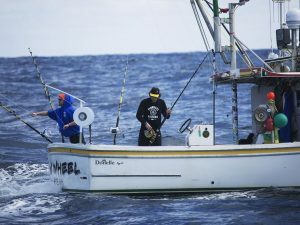 Now, the crew of a fishing vessel and their families may have to use these laws due … Continue reading Could Maritime Law Help the Victims of the F/V Captain Billy Haver Attack? What Boating Safety Concerns Are the Coast Guard and Connecticut River Task Force Addressing? One of Massachusetts’ busiest waterways is the state’s portion of the Connecticut River. Because of this, the United States Coast Guard is partnering with the Connecticut River Task Force in order to address recreational boating safety boardings for this summer. This safety push is led by the Coast Guard Sector Boston law enforcement and other … Continue reading What Boating Safety Concerns Are the Coast Guard and Connecticut River Task Force Addressing? How Did the United States Coast Guard Rescue 49 People From This Lost Yacht? The Coast Guard recently discovered a yacht carrying 49 people on Lake Michigan without a properly functioning navigation system. The 56-foot motor boat named Serenity was found by the Coast Guard with the assistance of a passenger who was worried the operator had been driving disoriented in the heavy fog near the Chicago Harbor. This … Continue reading How Did the United States Coast Guard Rescue 49 People From This Lost Yacht? Why Did the United States Coast Guard Terminate This Yacht Voyage? One of the main reasons that there are various boating accidents during the summer is because one or both of the vessels involved in the accident was unsafe. All recreational boats are required to have updated safety codes on board in order to protect their passengers. Unfortunately, some boating trips are terminated by the United … Continue reading Why Did the United States Coast Guard Terminate This Yacht Voyage? What Are the New Inspection Agreements That Vessel Operators Must Now Agree to? The U.S. Coast Guard has recently issued a letter regarding the new Subchapter M for vessel inspections and new inspection agreements. 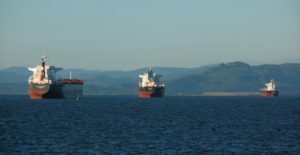 They clearly state that “on July 20, 2018, vessel owners and operators will be responsible for ensuring that their vessels comply with the provisions of 46 CFR Subchapter M…vessels are required to obtain a … Continue reading What Are the New Inspection Agreements That Vessel Operators Must Now Agree to? What Did the Coast Guard Find in Last Year’s Statistics Report for Recreational Boating? On May 29, the United States Coast Guard (USCG) released a report that highlights statistics on recreational boating injuries and fatalities in 2017. Some of the statistics that were outlined in the report are alarming. What Did the Statistics Show About Boating Injuries and Fatalities? The statistics in the report showed some positive improvements in … Continue reading What Did the Coast Guard Find in Last Year’s Statistics Report for Recreational Boating? How Should I Prepare for This Year’s Hurricane Season? Each year, the United States Coast Guard (USCG) reminds the public how to prepare for the upcoming hurricane season. The Atlantic Ocean hurricane season lasts from June 1 to November 30 and has its peak between mid-August and late October. You should have a hurricane preparedness plan in place for hurricane season. The USCG recommends … Continue reading How Should I Prepare for This Year’s Hurricane Season? 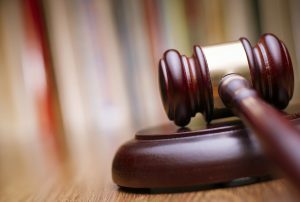 Who Is Liable If I’m Injured on a Cruise Ship? If you are a passenger on a cruise ship and get injured, there will be a few things you will have to prove in order to determine liability. The number one thing you will have to confirm in court is that the cruise ship operator was negligent in some way. This is the main way … Continue reading Who Is Liable If I’m Injured on a Cruise Ship? How Does Maintenance and Cure Relate to My Maritime Injury? If you are a merchant seaman or commercial fisherman, you may have heard of the phrase maintenance and cure in relation to work injuries. Maintenance and cure are special benefits that injured maritime workers can receive from an employer during their recovery process. 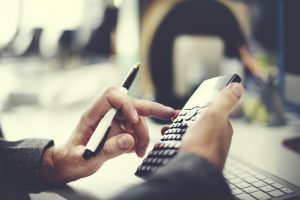 Regardless of proving liability for your injuries, you as an injured seaman … Continue reading How Does Maintenance and Cure Relate to My Maritime Injury? What is the Zone of Danger Test? In Sawyer Brothers, Inc. et al v. Island Transporter, et al, , a maritime passenger case, the First Circuit adopted the zone of danger test used by other courts for a negligent infliction of emotion distress claim. In this case, Sawyer Brothers, Inc. hired Island Transporter, LLC to ferry three of its construction vehicles and … Continue reading What is the Zone of Danger Test? How Do I Get Licensed to Drive a Recreational Boat in Massachusetts? New Englanders love to rent and buy boats in order to enjoy their weekends or vacations on the freshwater rivers and lakes. 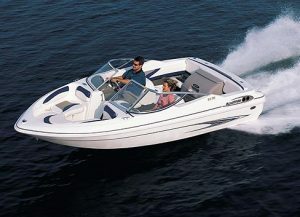 As the weather gets warmer, you and your family might be interested in buying a boat to use near the Boston harbors. It’s important to know the process behind buying a boat and … Continue reading How Do I Get Licensed to Drive a Recreational Boat in Massachusetts? Did Duck Boat Safety Issues Lead to the Boston Super Tours Shutdown? The list of duck boat companies in Boston just got a little bit shorter. According to Boston magazine, Boston Super Tours closed its doors for good on October 30th. Boston Super Tours is the company behind Upper Deck Trolley Tours as well as Super Duck Tours, which was a competitor of Boston Duck Tours. However, … Continue reading Did Duck Boat Safety Issues Lead to the Boston Super Tours Shutdown? Will Refurbishing Dams and Seawalls Help Improve Boating Safety? 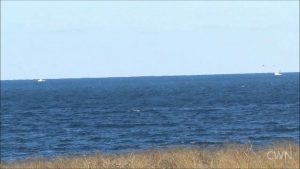 In early November, the state of Massachusetts introduced a program that will provide around $10 million in funding to refurbish seawalls and dams to improve boating safety. It is hoped that this funding will address the deterioration of coastal infrastructure that is critical to the safety of the region. Much of the funding, around $7.7 … Continue reading Will Refurbishing Dams and Seawalls Help Improve Boating Safety? 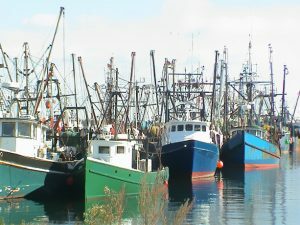 Do Commercial Fishermen Need More Safety Training? 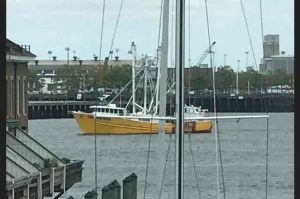 Last week, New Bedford hosted a pair of boating safety training events for commercial fishermen, according to South Coast Today. The training sessions took place at the School for Marine Science and Technology at UMass Dartmouth on November 17 from 7:30 am to 3:30 pm and November 18 from 8:00 am to 4:00 pm. 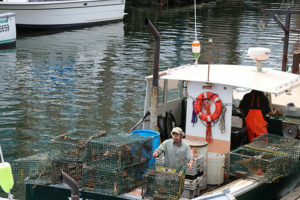 The … Continue reading Do Commercial Fishermen Need More Safety Training? Tugboats are one of the most important and busiest vessels in the maritime industry. They can be separated into three types, each with their own function: Oceangoing tugs Harbor tugboats River tugboats Most are used to help ships into and out of the water. Additionally, they come to the rescue of ships, the fight fires … Continue reading Are Tugboat Accidents Common? While ships are surrounded by water at sea, that does not mean they are impervious to fires, nor are maritime workers invulnerable to burns. Just last month, a flash fire occurred in a Virginia shipyard, which sent three workers to the hospital with severe burn injuries. Just a few months prior, a fire broke out … Continue reading Are Burn Injuries Common on Board Vessels? A vessel is a broad term that is not limited to a ship or a boat. 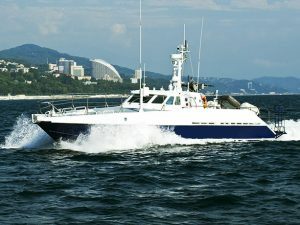 A vessel can also include production platforms, offshore oil rigs, barges, moored casino boats or even helicopters. Unseaworthiness is any unsafe condition on a vessel that causes injury. Ship owners and operators by law have a duty to ensure … Continue reading What Makes a Vessel Unseaworthy? What are the Most Common Causes of Accidents On Board Ships? 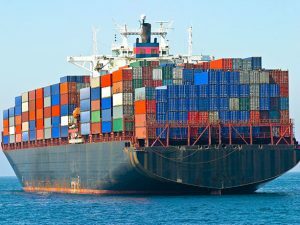 While regulations have been introduced and implemented in the shipping industry to help make workers safer, there are several types of maritime accidents that seafarers are susceptible to and must be made aware of so they can take preventative measures. 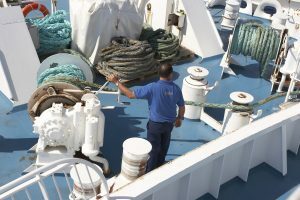 Workers Should Be Aware of the Following Hazards The most common types of accidents that … Continue reading What are the Most Common Causes of Accidents On Board Ships? In 2010, two people drowned when a duck tour boat stalled and a river barged overran it. According to the National Transportation Safety Board (NTSB), the duck boat operator smelled smoke, and shut off the engine. The oncoming barge failed to receive any distress signal and the duck boat’s horn experienced a malfunction. Following the … Continue reading Are Tourist Boats Safe? Is This Injured Longshoreman Protected By Maritime Law? A longshoreman was driving a yard mule truck loaded with granite and iron bars at the Sun Terminals shipping container yard when it collided with a golf cart in a four-way intersecting path. The driver of the golf cart died and the longshoreman sustained injuries. 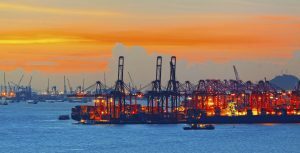 It seems the shipping yard does not have signs or … Continue reading Is This Injured Longshoreman Protected By Maritime Law? How Did This Fisherman Sustain Propeller Injuries? 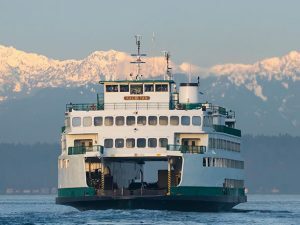 A commercial fisherman was snorkeling and spearfishing earlier this month when a boat when a 32-foot boat struck him, causing serious propeller injuries to his lower body. The fisherman lost part of one leg and suffered severe injuries to the other because of the boating accident. Why Boaters Need to Be Aware of Propeller Accidents … Continue reading How Did This Fisherman Sustain Propeller Injuries? Does Fatigue Put Maritime Workers at Risk? Maritime workers are essential to the global economy. More than 90 percent of the world’s trade is shipped by sea or across navigable waters. However, the maritime industry is plagued with falls overboard, groundings caused by navigation errors, collisions, fires, drownings and even amputation injuries. 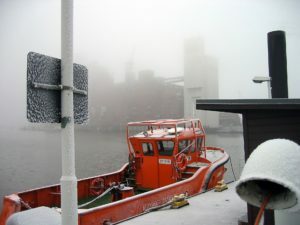 Unfortunately, many of these accidents are caused by fatigued maritime … Continue reading Does Fatigue Put Maritime Workers at Risk? Did you know Lindsay Lohan’s Finger Amputation is One of the Top Types of Boating Accident Injuries? Lindsay Lohan sustained a traumatic injury in a recent boating accident. According to the actress, her finger became caught in a boat’s anchor and she was dragged under the water. Upon freeing herself, the bottom part of her ring finger was ripped off and found inside the vessel. While the media is calling this a … Continue reading Did you know Lindsay Lohan’s Finger Amputation is One of the Top Types of Boating Accident Injuries? What is the Leading Cause of Boating Accidents? Despite common misconceptions, most boating accidents have nothing to do with hazardous sea conditions or bad weather. More often than not, they occur on inland waters during the day when visibility and weather are considered good. The U.S. Coast Guard reported 4,158 boating accidents in 2015. Of those, 626 people died in these accidents and … Continue reading What is the Leading Cause of Boating Accidents? Are Cruise Ship Workers Protected by Maritime Law? Last week, we wrote about how a cruise ship employee died during a safety drill on the Harmony of the Seas, which is the world’s largest cruise ship. At the time, the ship was docked in France. 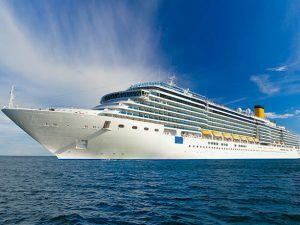 Due to the fact the accident took place in another country, some may be confused about what the … Continue reading Are Cruise Ship Workers Protected by Maritime Law?